Though I only launched this site back in February, it’s been a whirlwind few months, and as much as I thought I knew about candy, I continue to learn more and more as the weeks and months go on. It’s been great sharing this little corner of consumer and pop culture with everyone these last hundred posts, and I hope that the next several hundred are going to be even more fun. Today’s piece is a bit of a beast. I spent the last three days scanning and digging through my files to bring it together, and when I sat down to start writing yesterday, I had over sixty different photos and scans to present. I trimmed it down as much as I felt I could, and I hope you enjoy what I came up with. 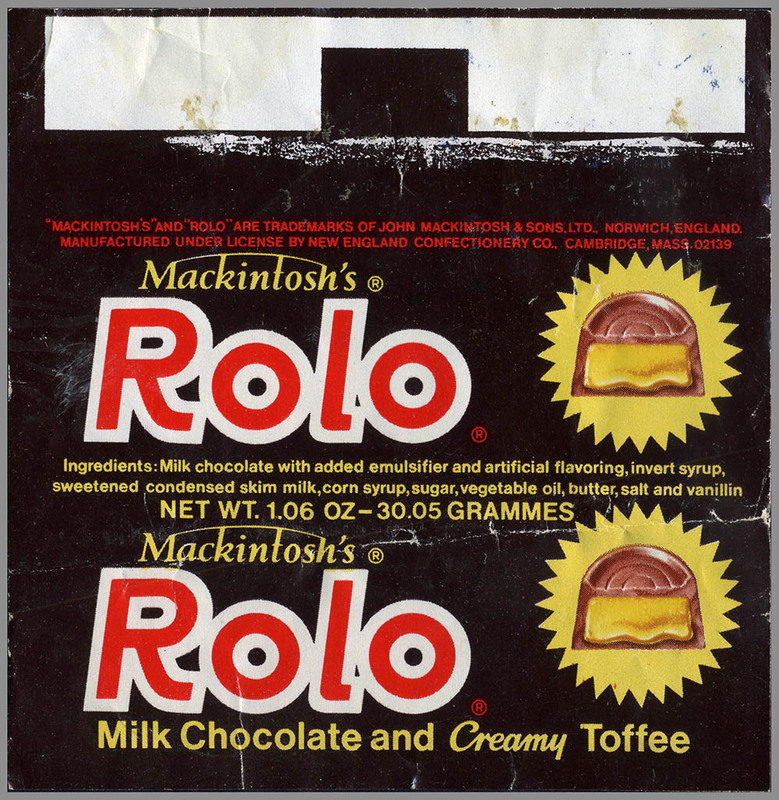 The Rolo was first sold in the UK by Mackintosh’s in 1937. 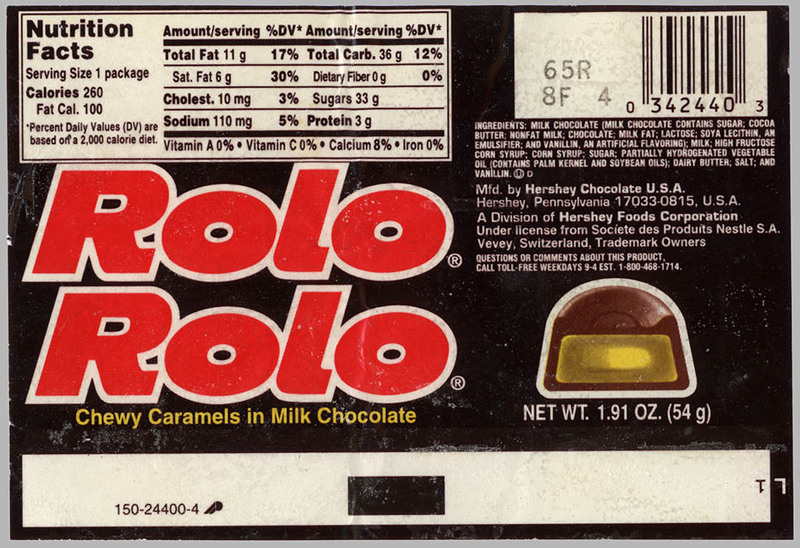 Checking my calendar, that means that this simple little chocolate covered caramel treat is celebrating its 75th birthday this year. 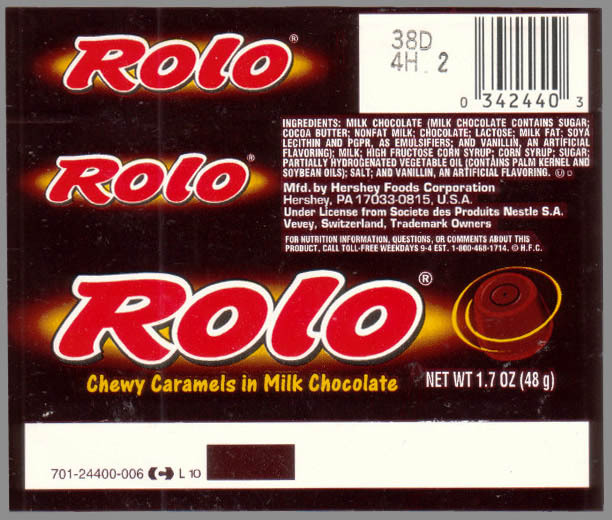 A perfect time to have a big Rolo Roundup, don’t you think? 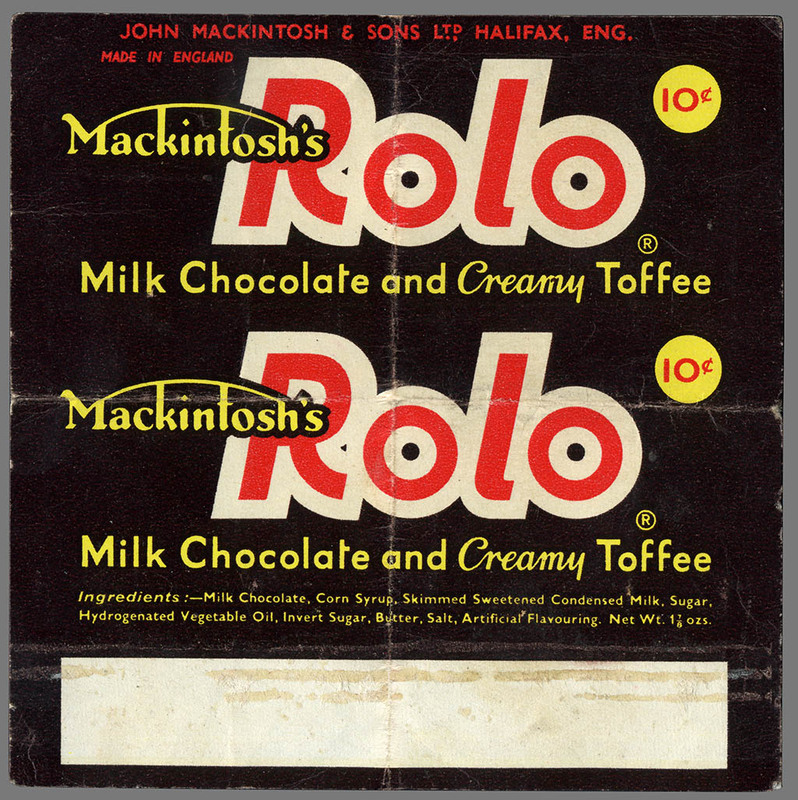 Before 1937, Mackintosh’s were apparently best known for their toffee treats, and the Rolo was simply a chocolate covered version of one of their classic toffee rolls. 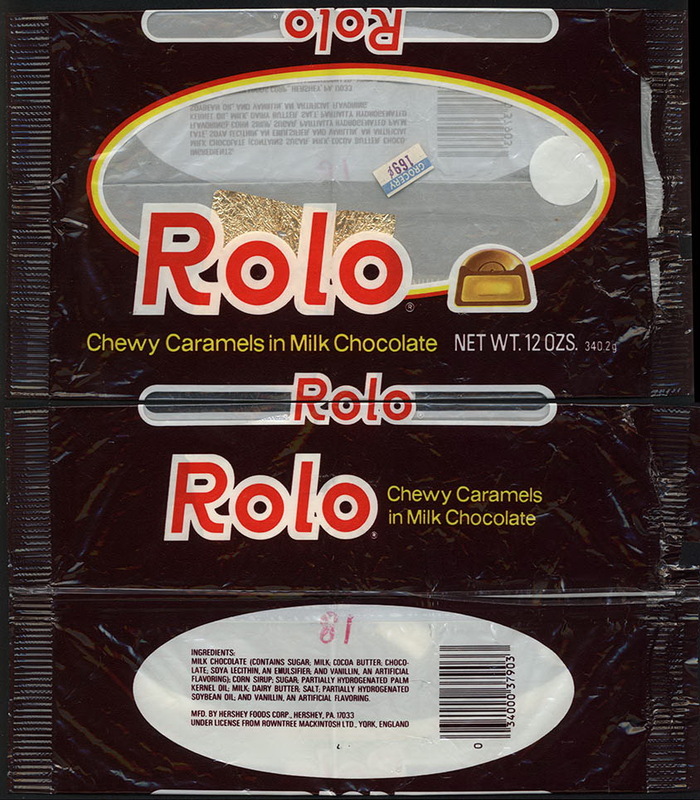 Though that 1952 Rolo wrapper is a UK variety, you might be surprised to learn that I found it in a scrapbook from Parker, South Dakota and assembled throughout the 1950’s and 1960’s. 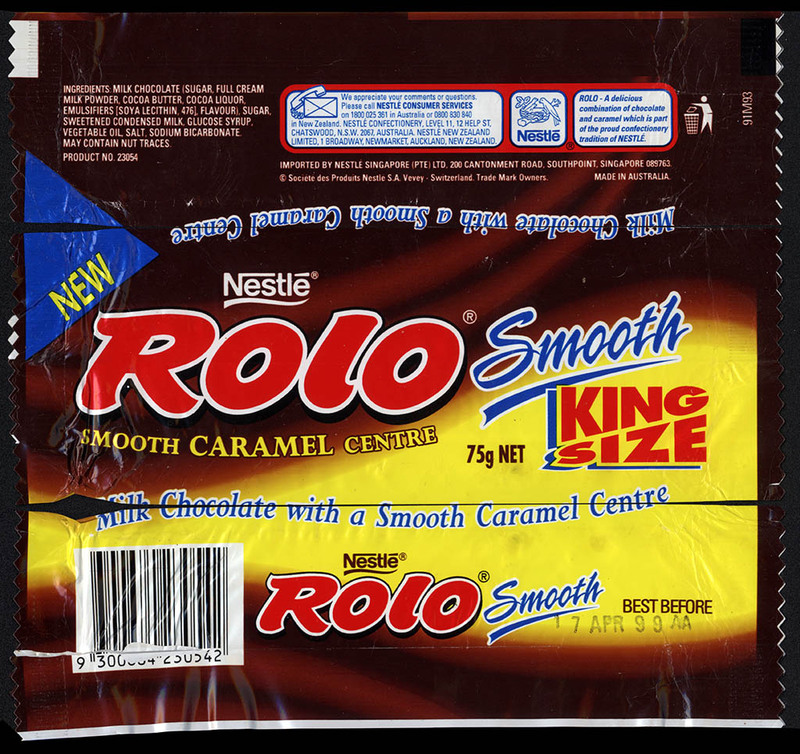 I’ve often stated here that finding old candy wrappers is not easy, so you have to sort of get lucky to find the odd place where they were tucked away. This scrapbook is a great example of that. Shortly after World War II, a girl in Parker signed up for a European pen pal. In addition to photos and letters, she and her pen pal from England would spend a number of years exchanging sweets with each other. 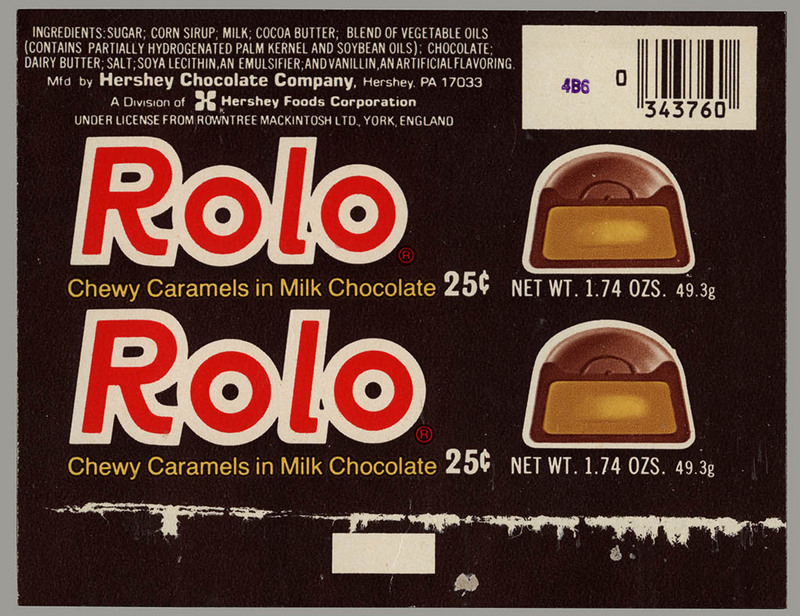 Fortunately for me, that girl in South Dakota kept a record of what she received by saving the wrappers in a scrapbook. Eventually the scrapbook would end up on eBay and in my collection. 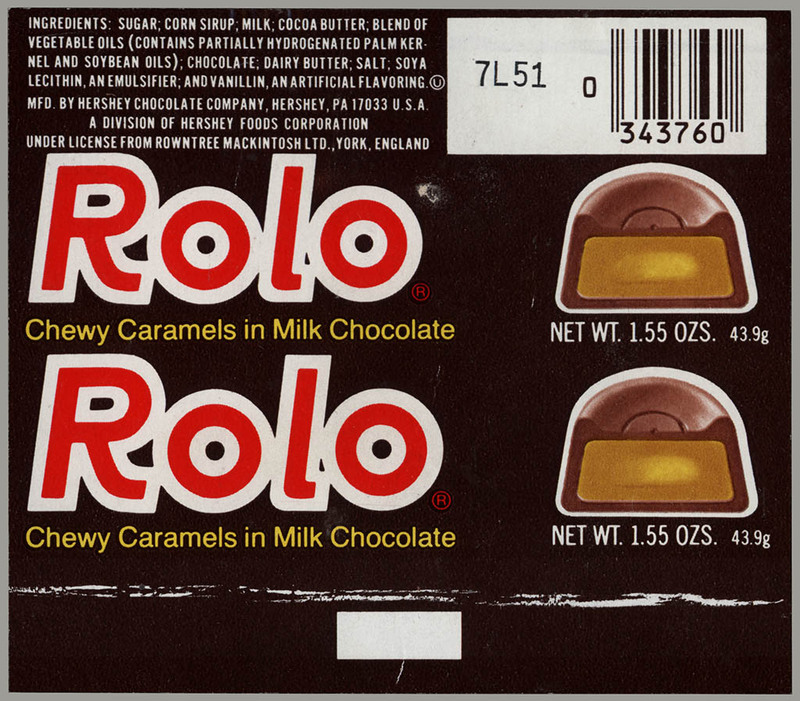 It’s interesting to note that the New England Confectionery Company must have brought production stateside fairly rapidly, as I believe those two early American Rolo wrappers aren’t separated by too many years. 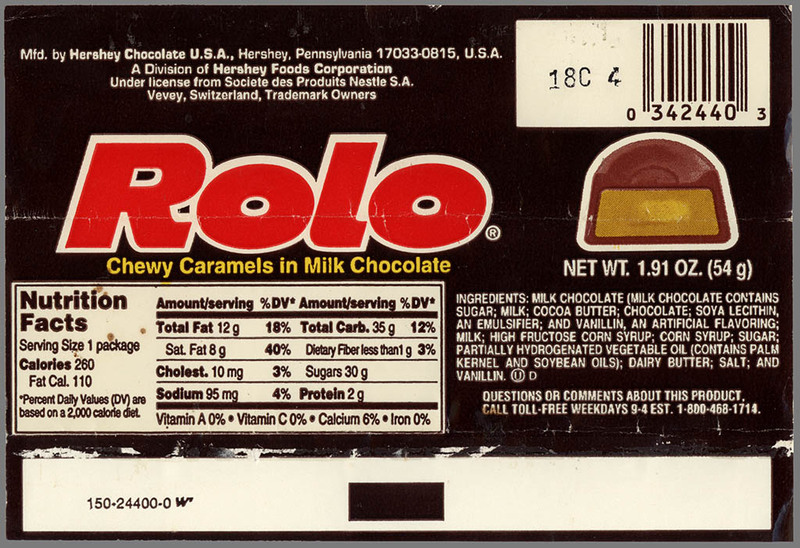 That Necco licensed version is also notable as we see the inclusion of an illustrated Rolo candy, a design element that would be carried on for American Rolo packaging, and persists to this day. 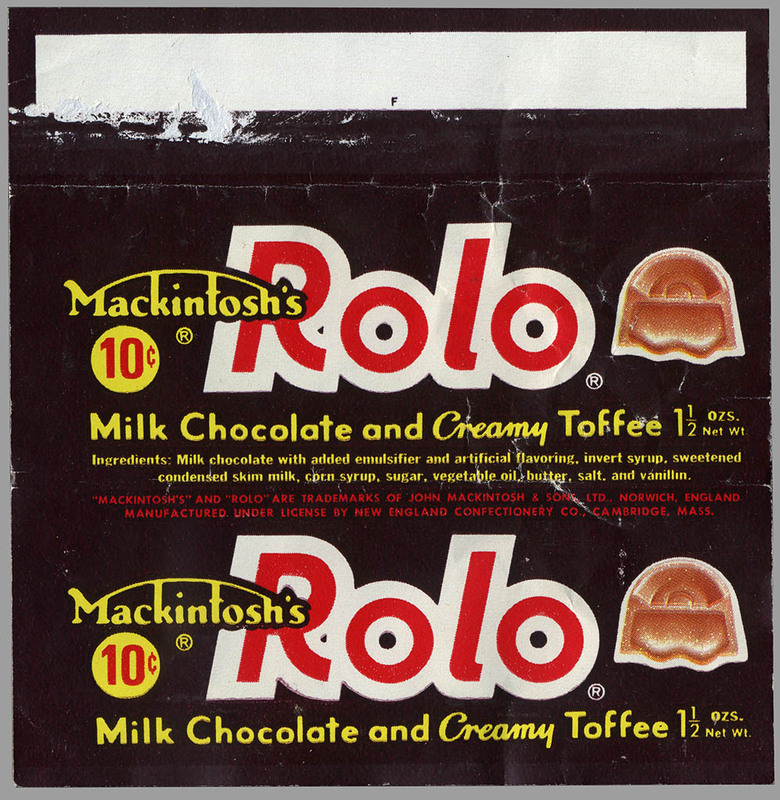 That early Hershey Rolo wrapper indicates that the contents were “Made in England”. That again makes me curious how this all went down? 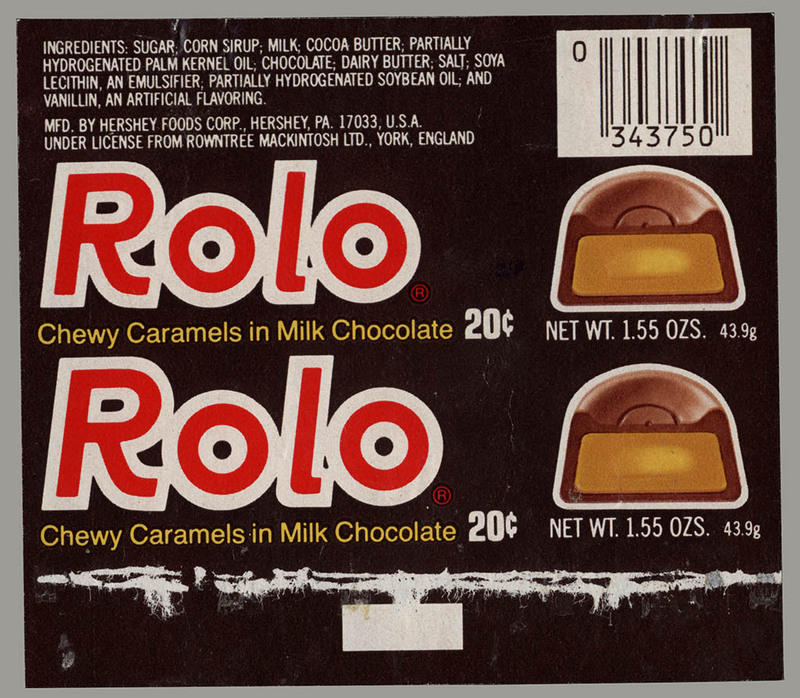 That 20-cent wrapper would change to a 25-cent version, and eventually lose the printed-on price altogether. 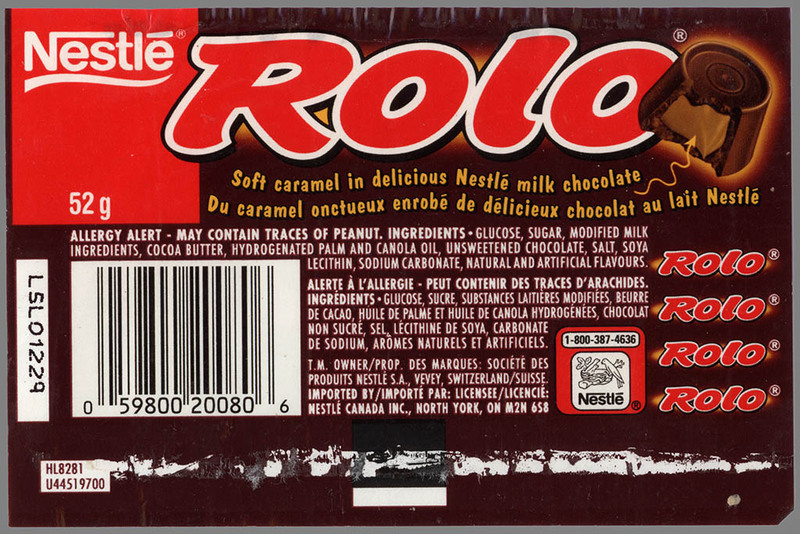 From here, my roundup of Rolo could get a little sketchy if I’m trying to go chronologically, as I’ve got UK Rolos, American Rolos, Canadian Rolos, and even a cool German Rolo flavor variant. 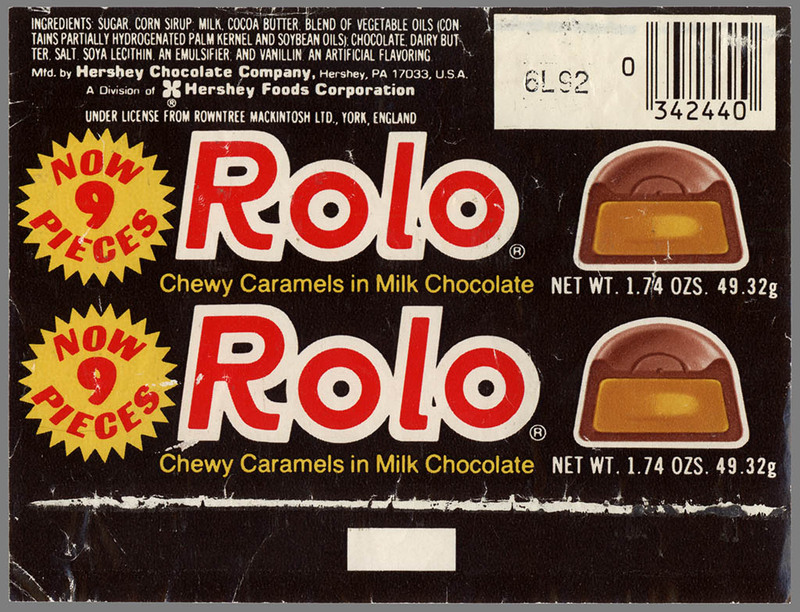 In order to keep this somewhat clear, I’m going to go forward focusing just on the evolution of American Rolo packaging, then come back around to the vintage pieces I have from other parts of the world. 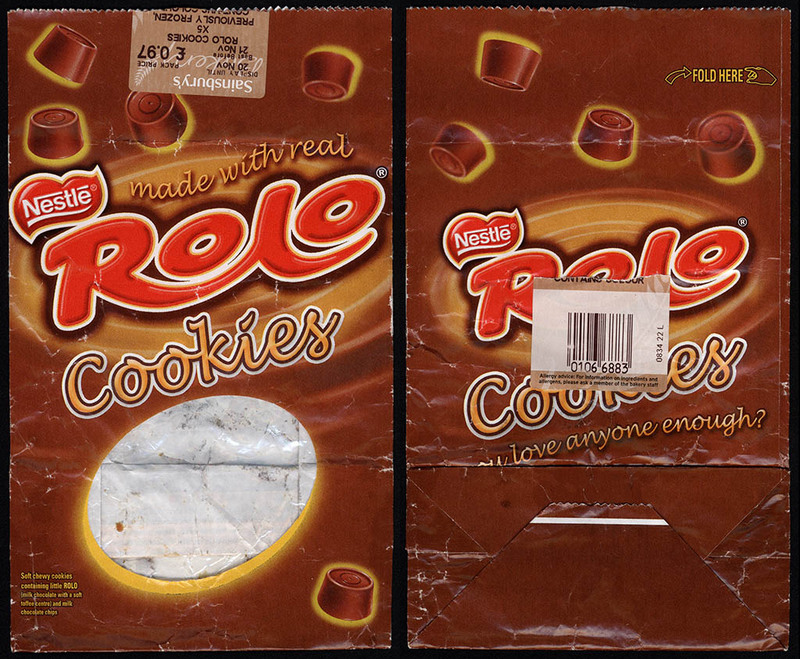 And that’s my evolution of Rolo wrappers, focused on the American versions. 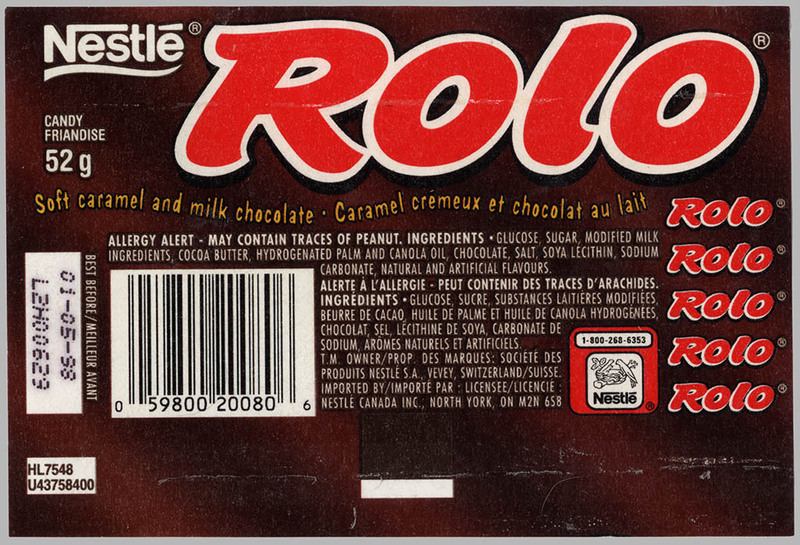 But there’s more… Here are some highlights of Rolo packaging from around the world. 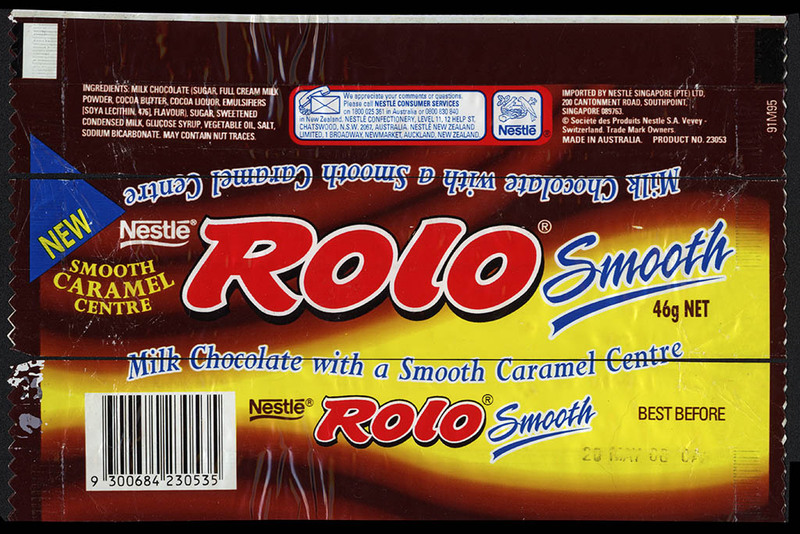 This next wrapper is for Rolo Cookies. They basically added a cookie core to the caramel center. 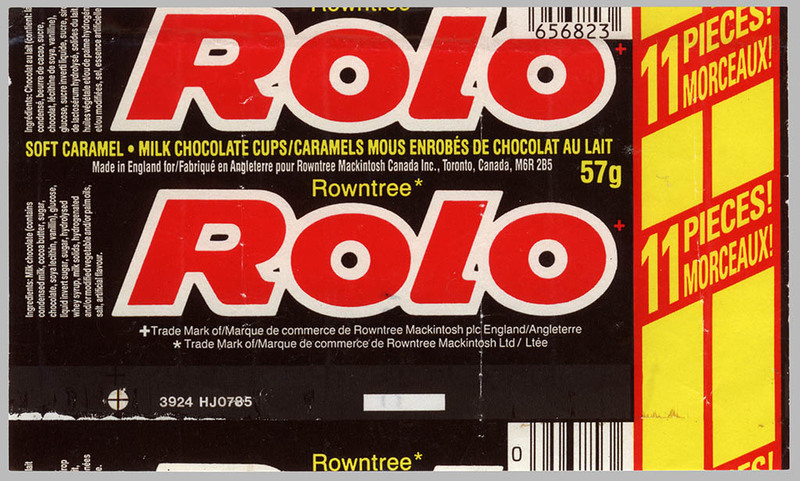 Sounds a bit like little bite-size Twix. Not sure what makes this next one a “Special Edition”, as there’s nothing that points out just what is special about it. Anyone see something I don’t? 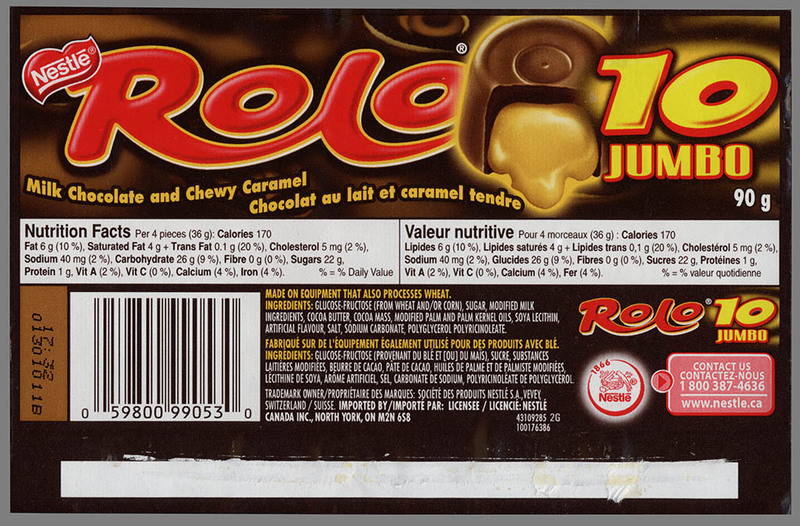 This next version of Canadian Rolo looses the individual makeup of the Rolo and turns it almost into a bar of sorts. I wanted to assemble a big timeline for today’s piece, but just ran out of time, and I’m not quite sure how all of this material would fit together in a timeline anyway. I may still do it, and if I do, I’ll post a link to it here. 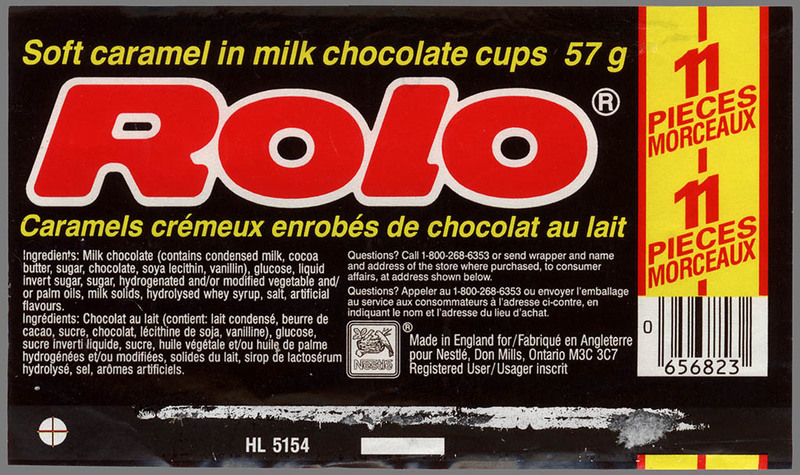 With that, I hope you’ve enjoyed this extensive look at the history of Rolo and Rolo packaging through the decades and around the world. It was a big task to bring it all together, so I hope it makes up for the last few days without posts. I spent all weekend working on this one. 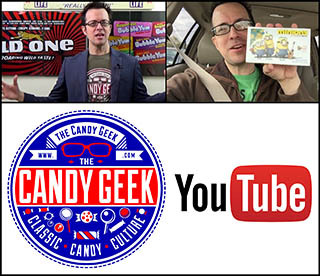 See you back here tomorrow for another edition of CollectingCandy.com’s Wacky Wednsedays! 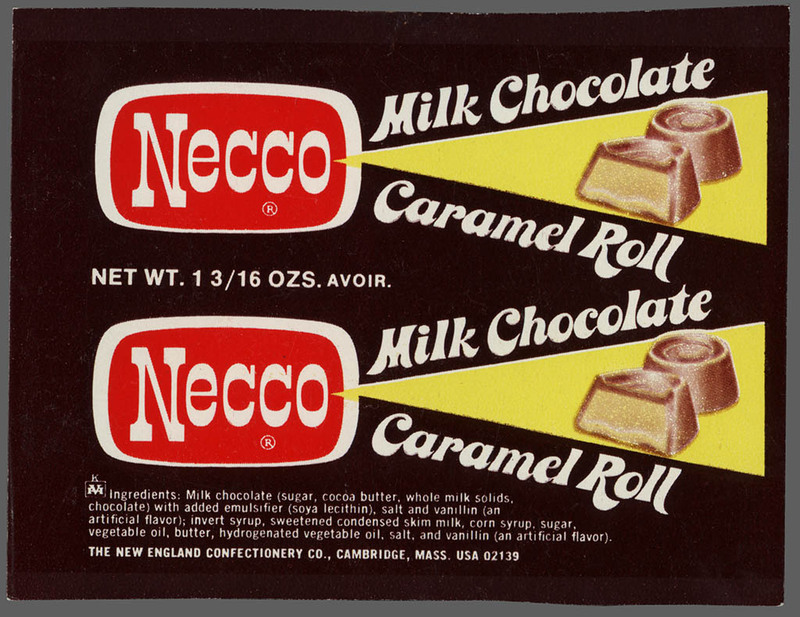 This entry was posted in 1950's, 1960's, 1970's, 1980's, 1990's, British, Chocolate, Nestle and tagged 1950's, 1960's, 1970's, 1980's, 1990's, 50's, 60's, 70's, 80's, 90's, anniversary, candy, candy collecting, candy collector, caramel, chocolate, collectibles, collecting candy, collection, collector, confectionery, history, Mackintosh, Nestle, packaging, retro, Rolo, Rowntree, sweets, UK, vintage. Bookmark the permalink. 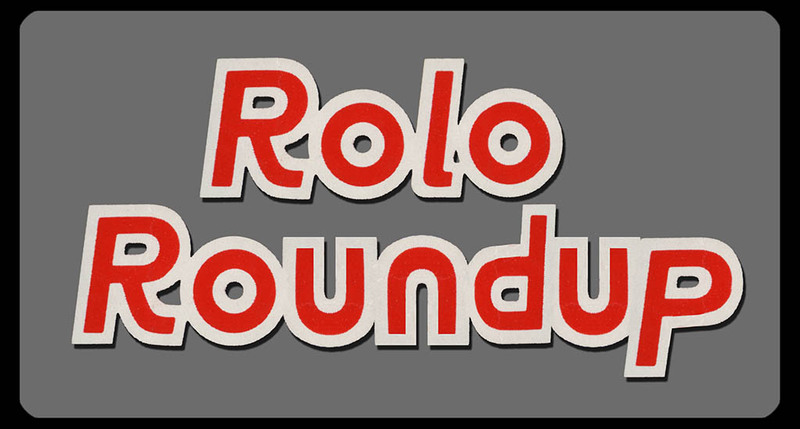 15 Responses to Our Big Rolo Roundup! 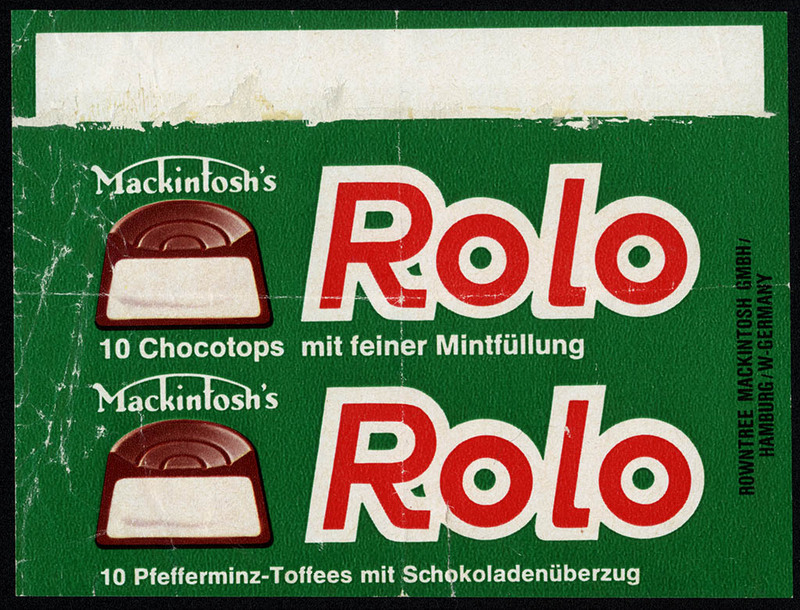 75 Years of Rolo! Congrats on your 100th post, I have had a blast following along. 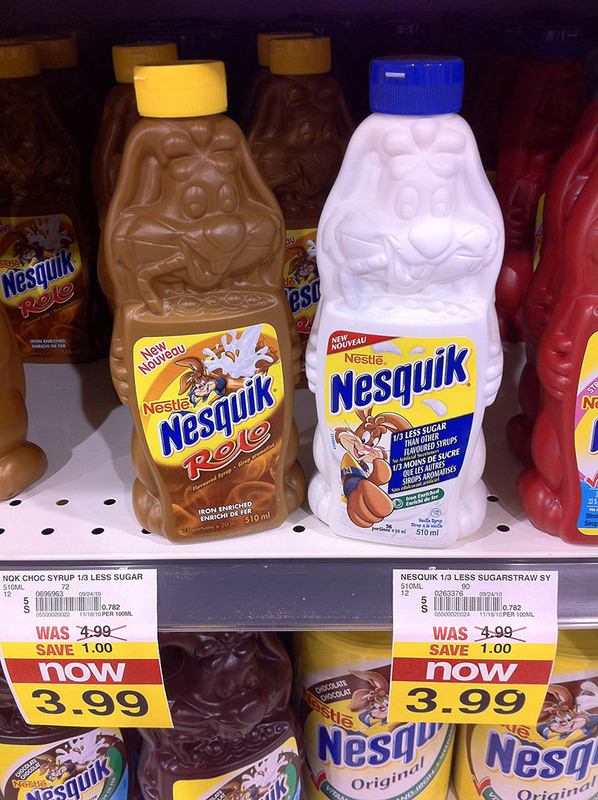 As a Canadian it is interesting to see how products in the USA have evolved different designs. 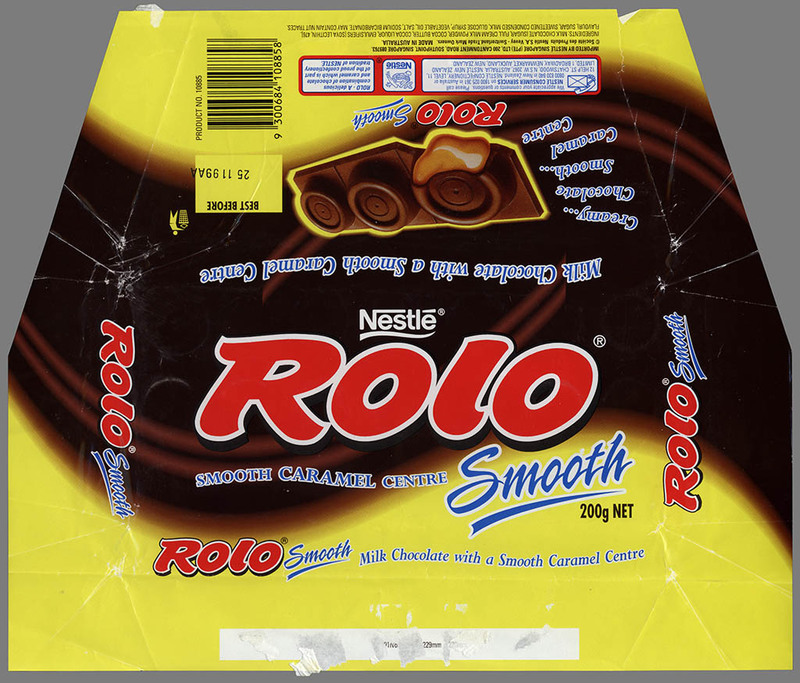 According to this site: http://www.chocolatereview.co.uk/bar/?51 Rolo Smooth is the new name for Rolo Bar. 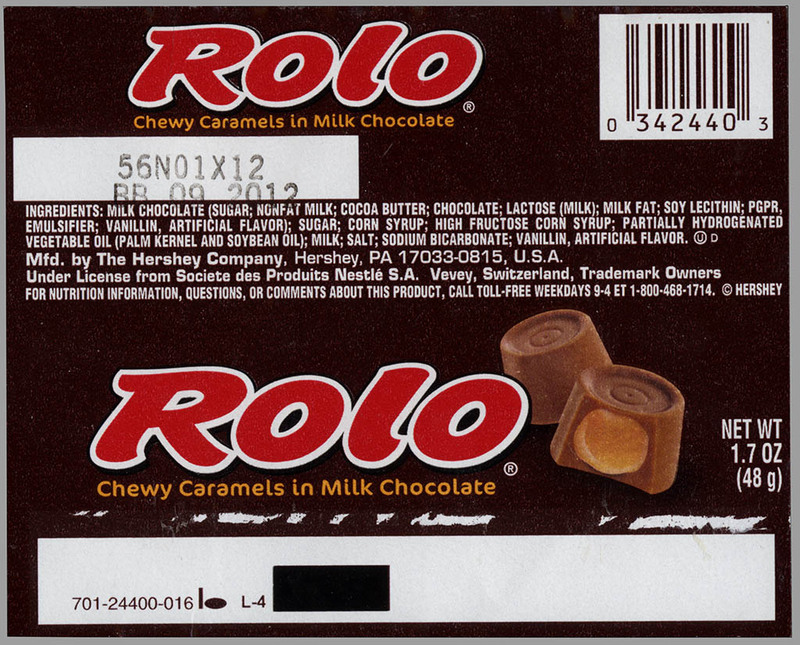 Wow, I had no idea Rolo’s had been around so long. Good job, very comprehensive. 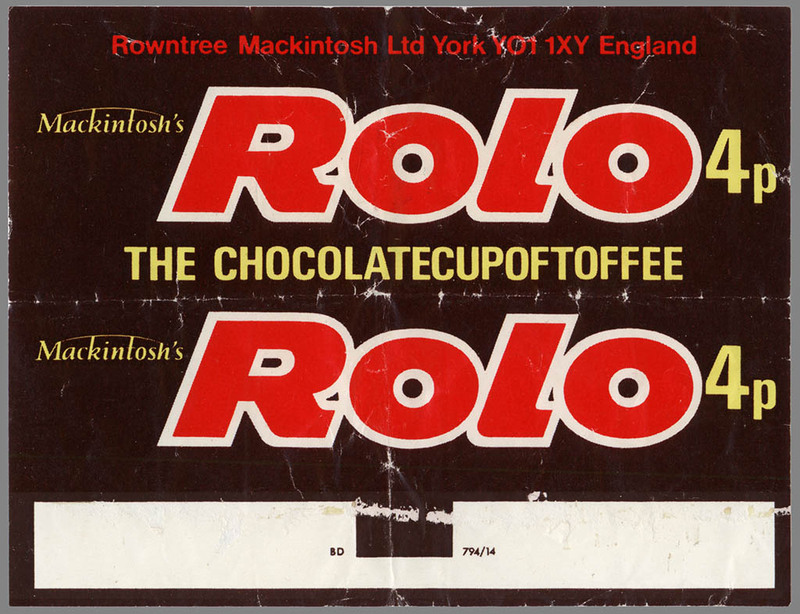 Fantastic 100th post, a very good read and learnt a lot out of it, its great to see how the Rolo wrappers have transformed over time. 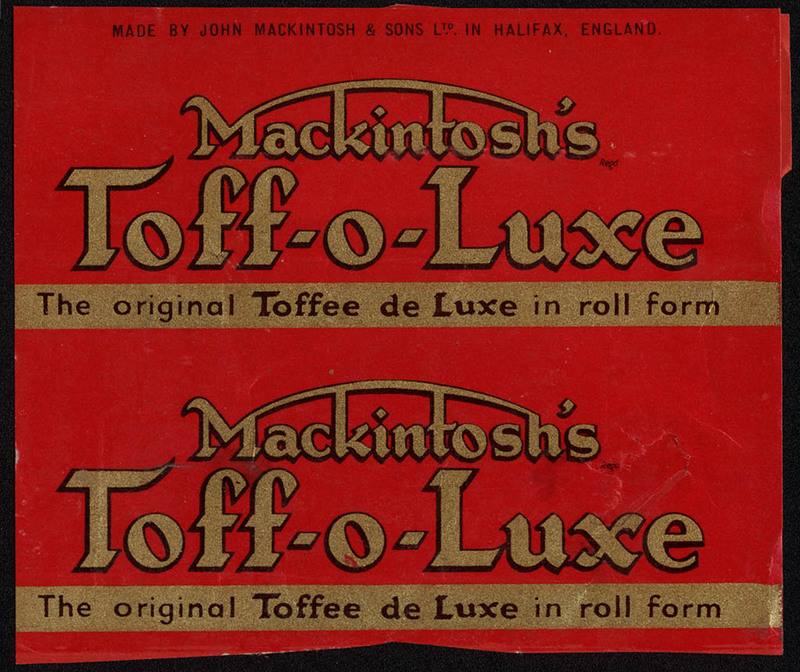 Some really early wrappers there that look in real good nick. just outstanding! 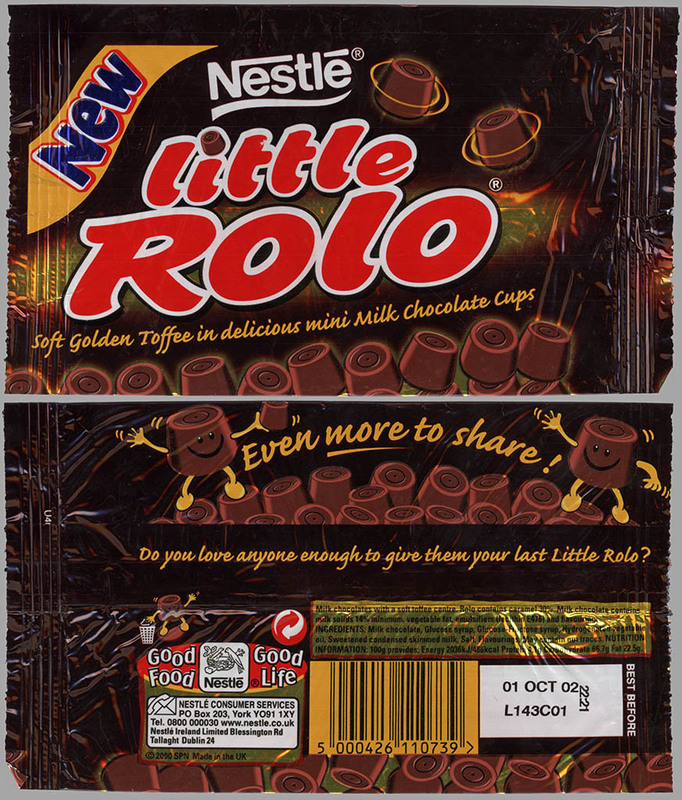 Good find on the Rolo mascots! 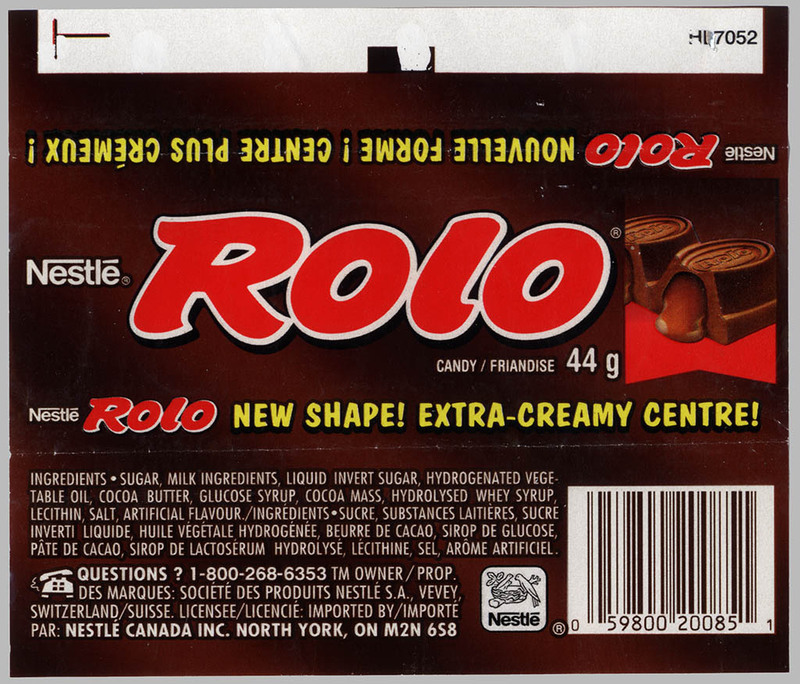 Hey, I still remember that Rolo commercial with the “You can roll a Rolo…” jingle. 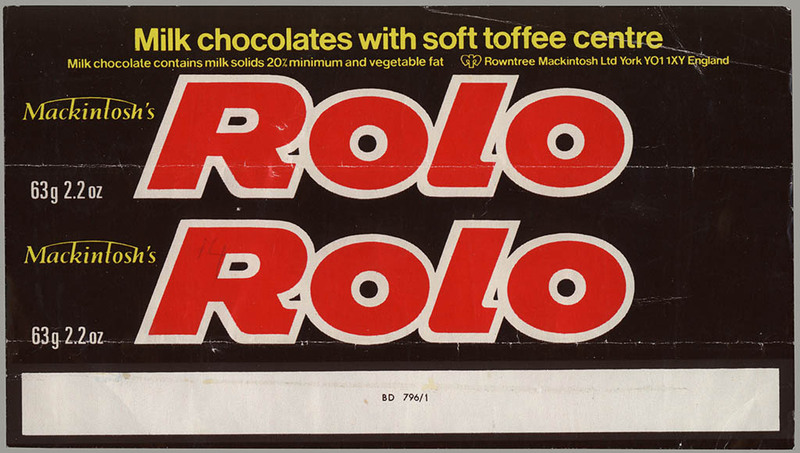 My first knowledge of Rolos dates back to the late ’70’s and probably coincided with the above-referenced television commercial campaign. 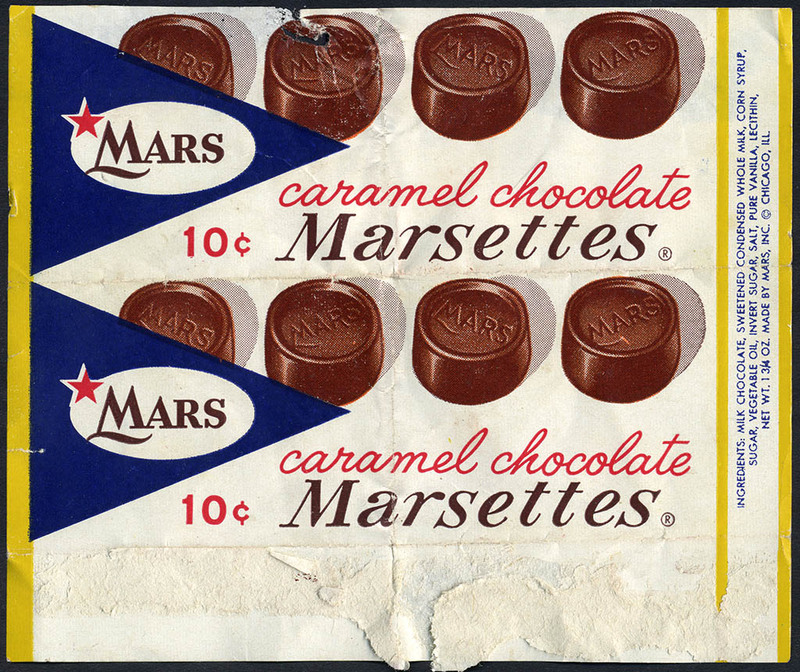 I’ve always been a fan of chocolate and caramel stemming back to my love of the Marathon bar. It’s still one of my favorites. p.s. I know it’s spelled “caramel”, but that’s how they sang it! Congrats on 100, Jason. 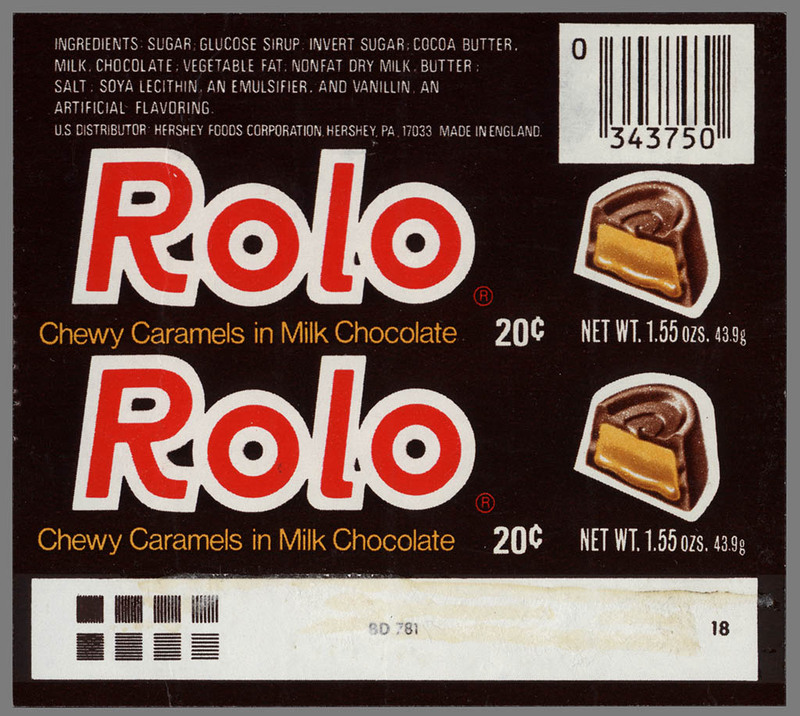 And great article on one of my favorite candies. 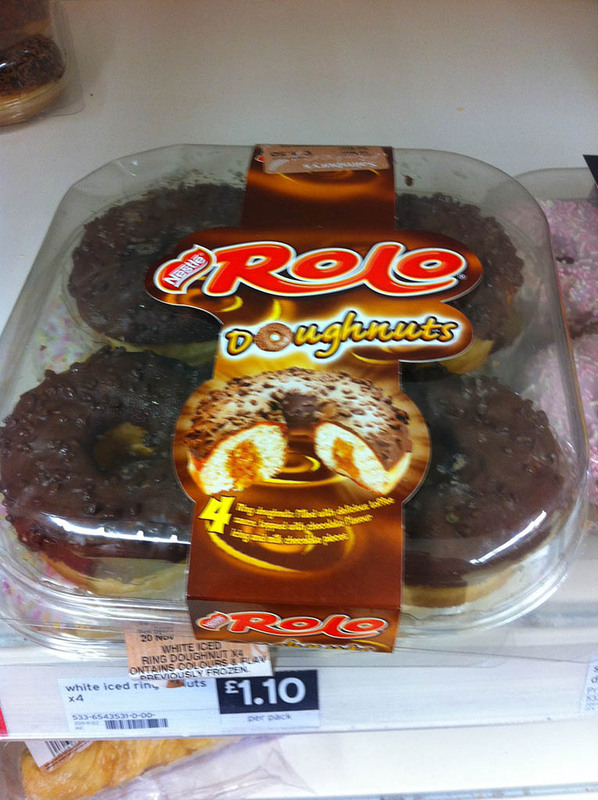 And you seriously need to try those Rolo Donuts. They sound AMAZING. 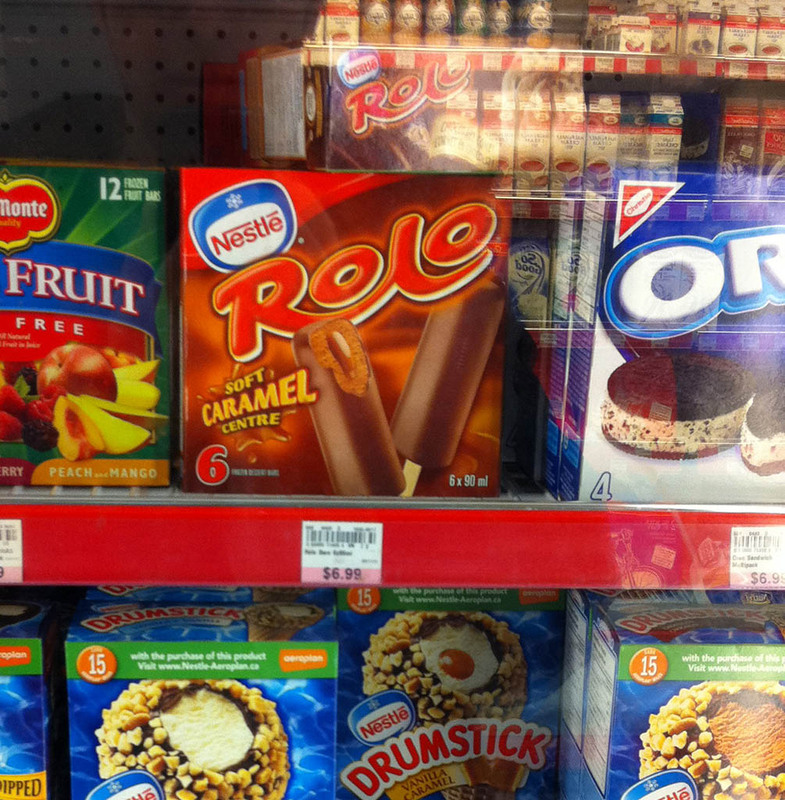 I bet the Rolos with the cookie center were good. 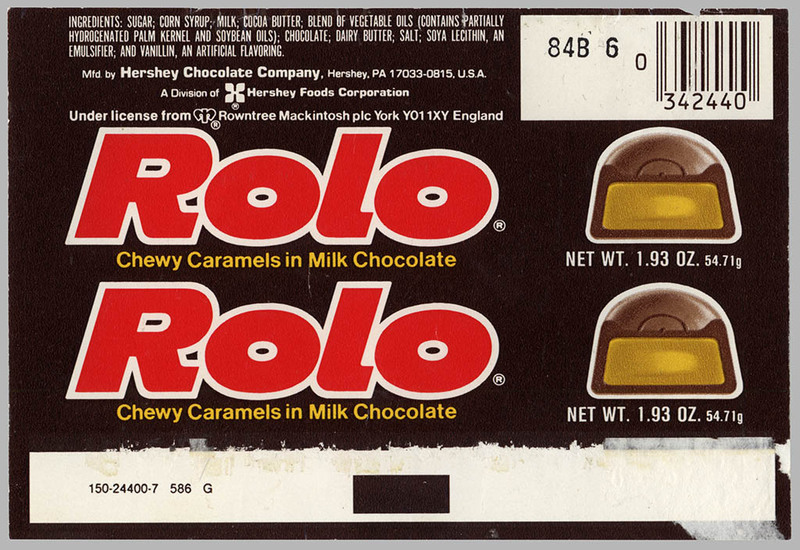 As a former district sales manager for Hershey, I introduced “ROLO” in March of 79 (as memory has it) to the Oklahoma test market. 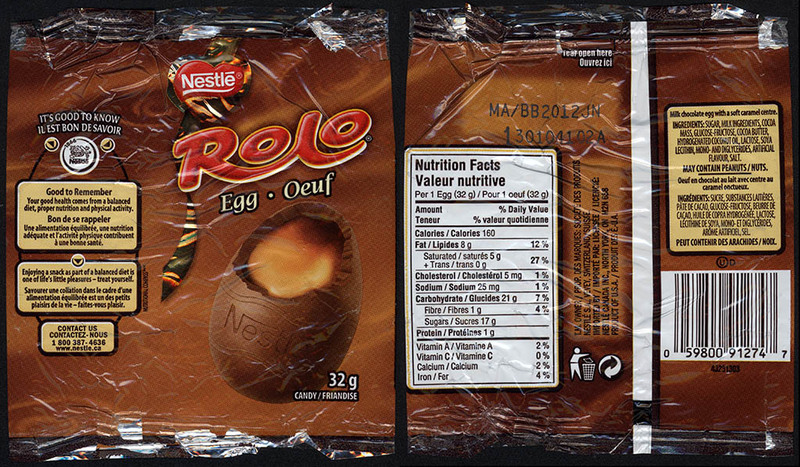 We had a winner along with SKOR and Whatchamacallit, which we successfully introduced there as well. 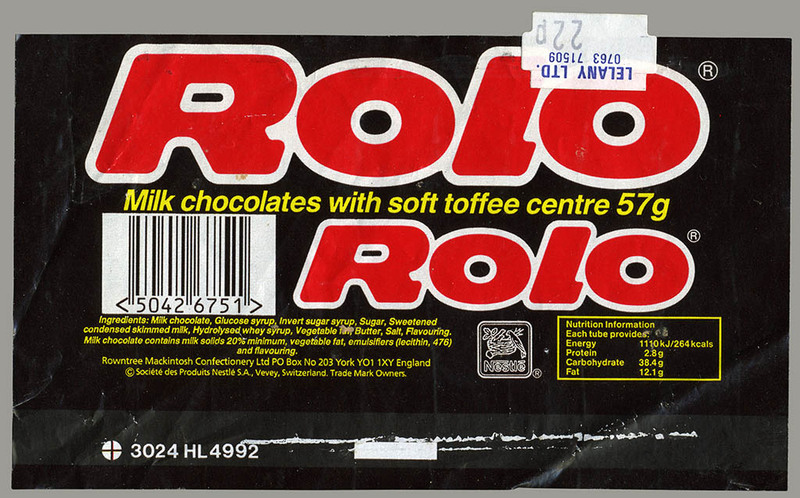 I remember distinctly, as a young boy, early 60’s, buying mint rolo’s. I don’t remember them being German but I suppose it’s possible or perhaps they were a trial version tested in the midwest? Interesting recollection. Well, it’s certainly possible. I would love to find hard evidence of their existence. 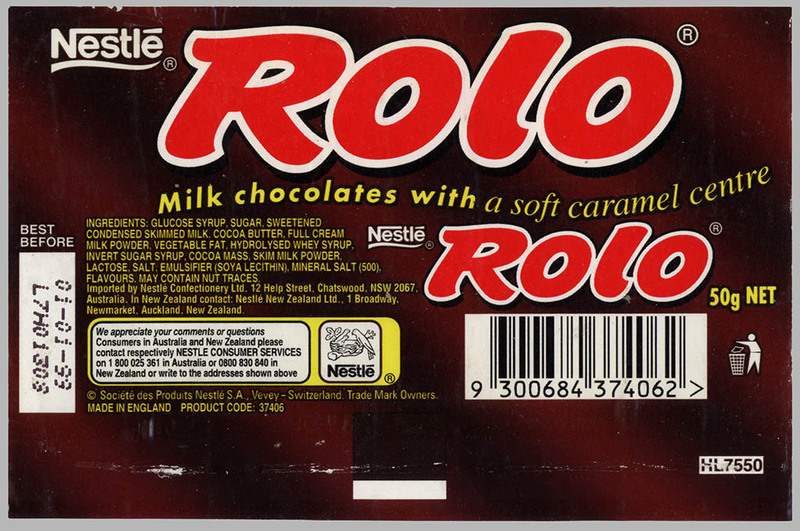 Rolos have been my favourite all my life, right through my early childhood in the 1960s in the Uk & ever since here in South Australia. 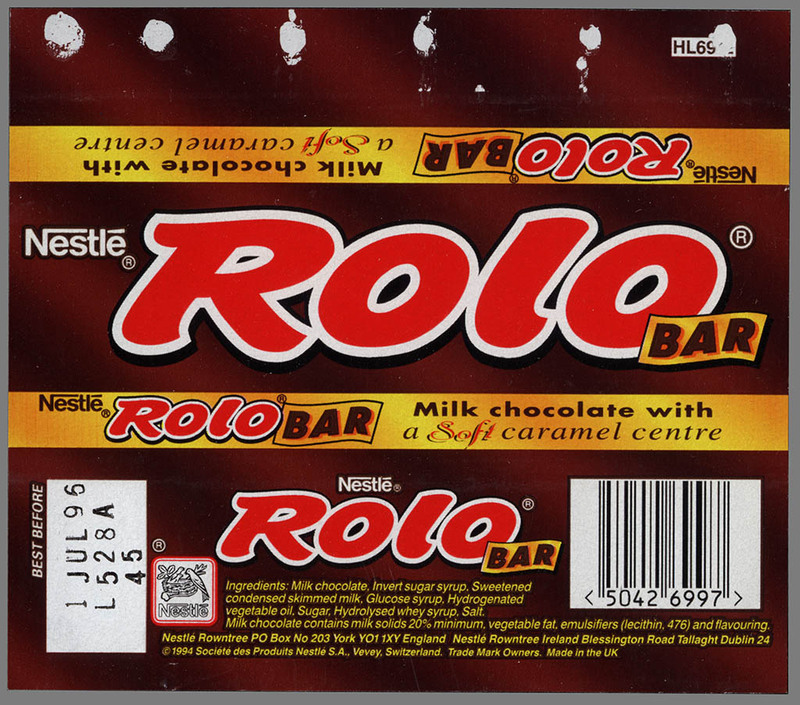 Just recently about june 2013 Nestle Australia discontinued importing them here although they do produce the large bar which is a sweeter tasting recipe. I phoned their marketing manager & passed on my dissaproval in no uncertain terms. 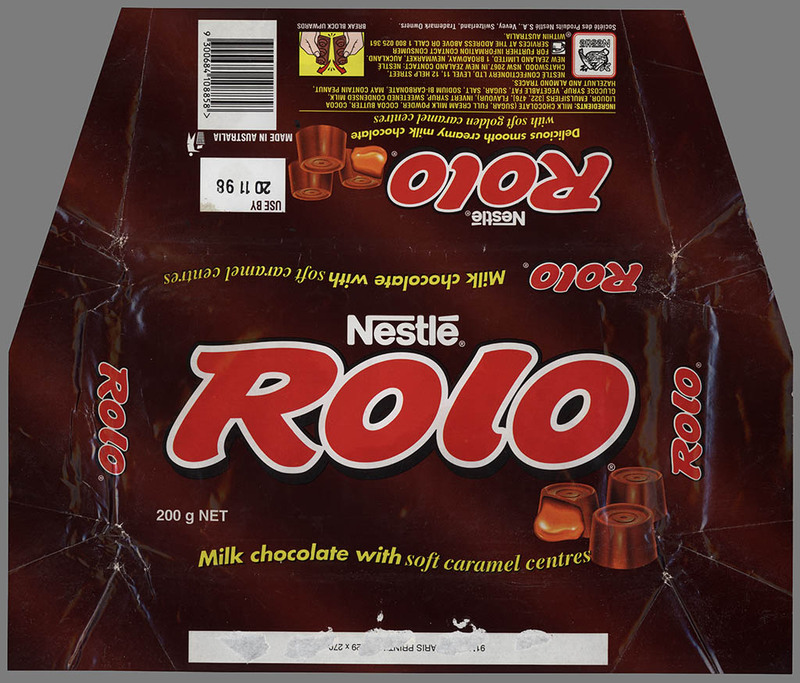 It is good atleast the rest of the world think rolo is still a winner even if Nestle Australia are a bunch of no hopers & numtys.Vincent. 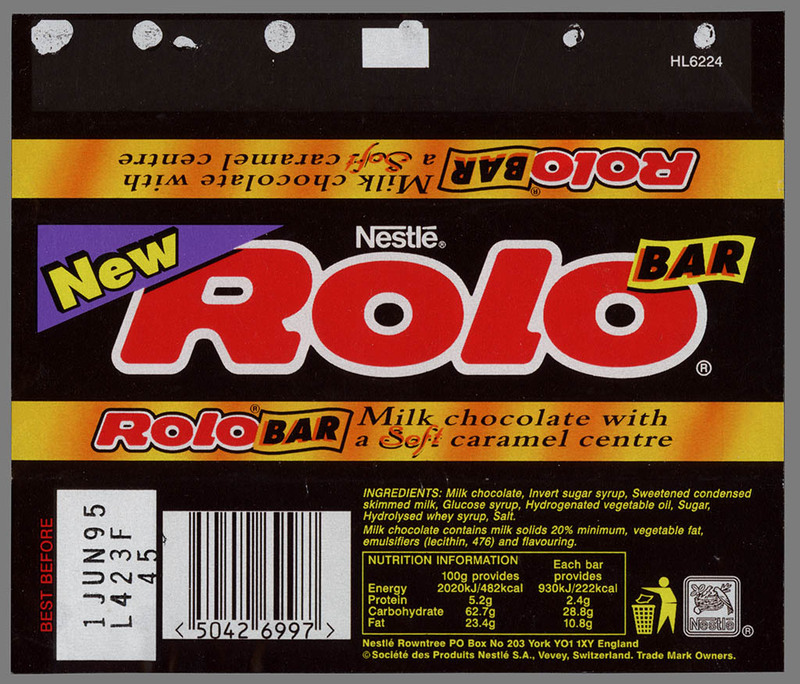 Yes I agree Nestle in Australia were a bunch of idiots for dropping the UK Made Rola pack, many expats bought them, and were annoyed they stopped bringing them in. 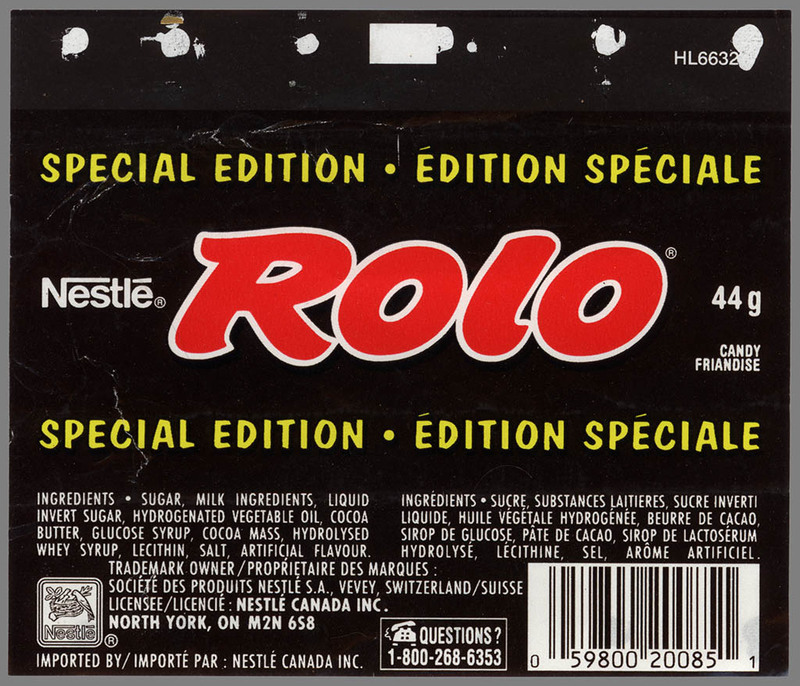 I too rang Nestle to no avail. 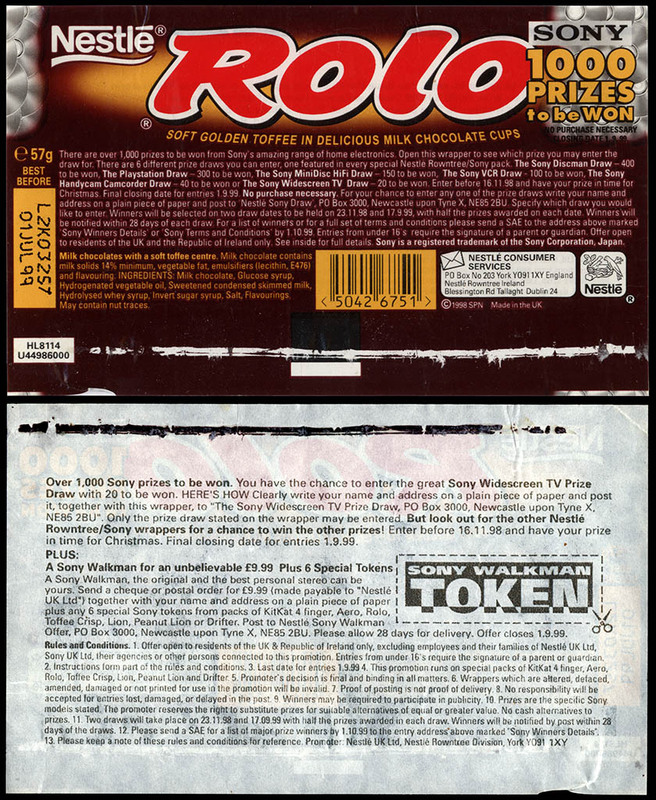 However as of Aug 2017 , Coles Supermarkets in SA have them in the UK section , but now 3 times the price they used to be, still made in the UK, SO COLES ARE RIPPING PEOPLE OFF, ‘DOWN DOWN’ is their annoying TV adverts , but NOT ROLO , its UP UP . 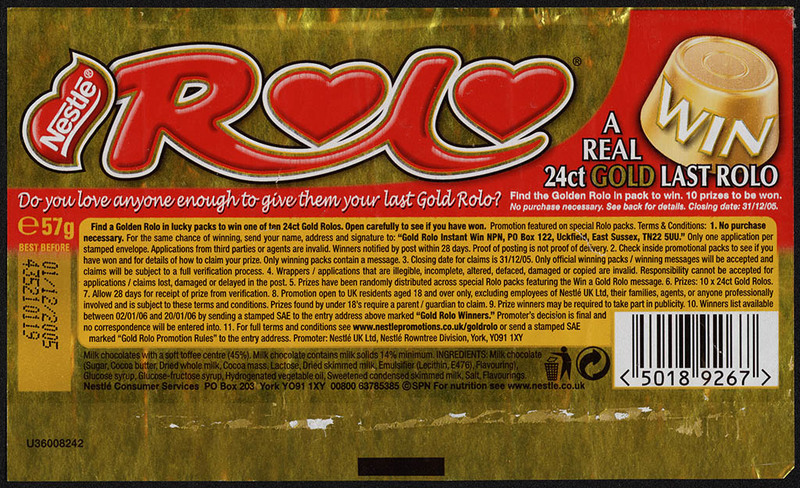 I also found a 3 pack at ‘cheap as Chips’ for $3.00 , much cheaper than coles, with a barcode of 5025 1186, however no where does it say ‘Made in the UK’, so if i can’t be 100% certain where they are made, I won’t buy them again. Nestle Australia does make a 200gm bar, but’s its taste nothing like the UK recipe , just awful taste , only bought it once, NEVER again. Over the past few Christmases Nestle have brought back ‘Quality Street’ again, after years of no show. 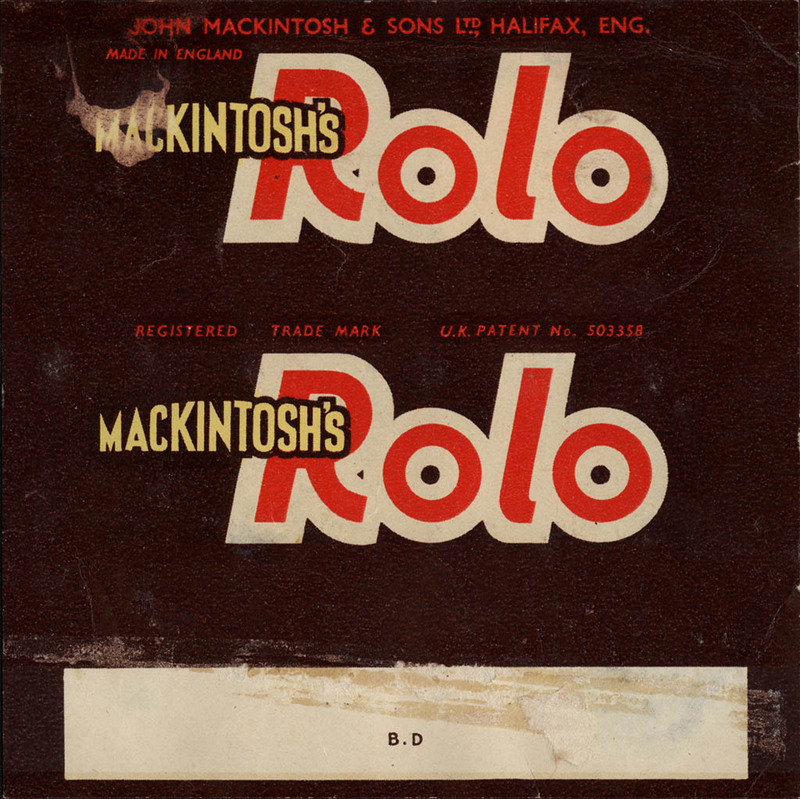 They are the real taste of mackintosh’s recipe made in the UK . I wish they would bring them in all year round. Hi. 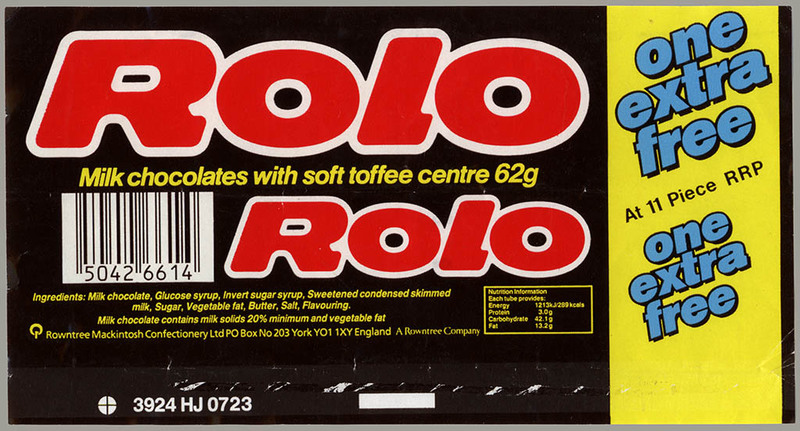 I’m redoing a house and I found an advert in the paper (under the lino) selling Rolo’s. Wonder if you would be interested in a scan of it. The paper is dated 1939! !